On March 12, 1903, the New York Highlanders are given the go-ahead by team owners to join baseball’s American League. The Highlanders had recently moved from Baltimore, where they were called the Orioles and had a winning tradition dating back to the 1890s. 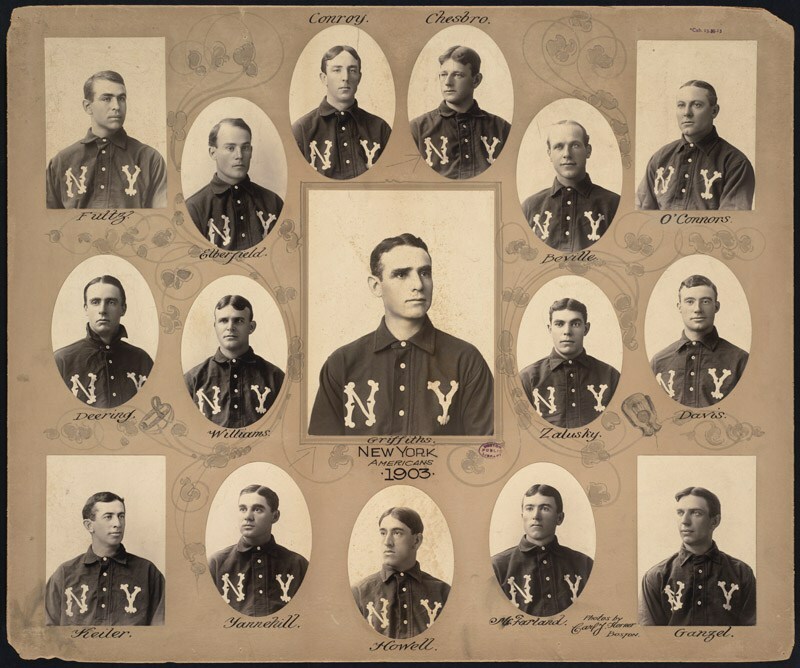 Called the “Yankees” by fans, the team officially changed its name to the New York Yankees in 1913, and went on to become the most dominant franchise in American sports. The NY Institute owned a plot of land in Washington Heights since the 1860’s, and a portion was leased to the team in 1903. The site was called Hilltop Park and sat on the block bounded by Broadway, Fort Washington Avenue, 165th and 168th Streets. The school at the time was still planning to relocate there. Mar. 12, 1903: The New York franchise is approved as a member of the American League. 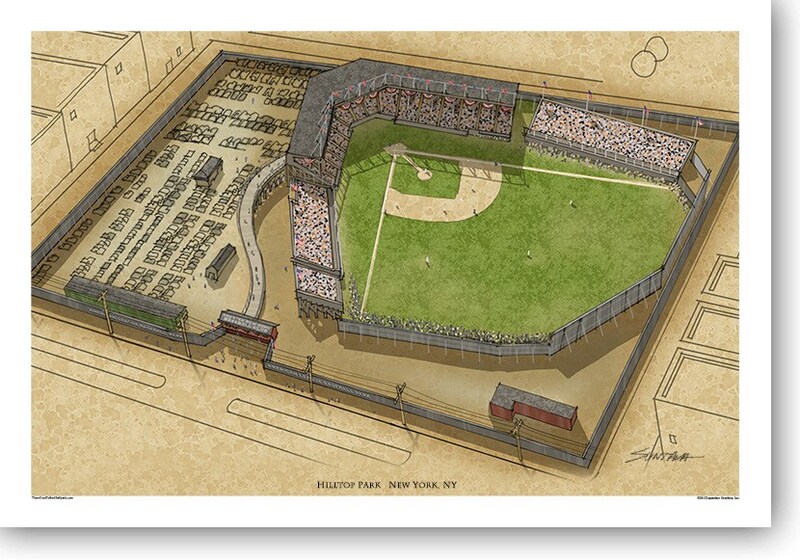 The team will play in a hastily constructed, all-wood park at 168th Street and Broadway. 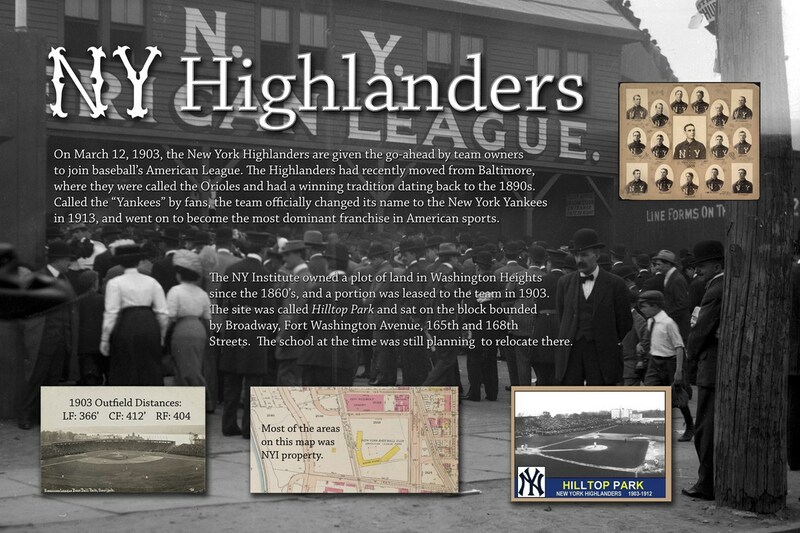 Because the site is one of the highest spots in Manhattan, the club will be known as the "Highlanders" and their home field "Hilltop Park." What is not commonly known is that these "Highlanders" later to be called the New York Yankees leased the grounds from the NY Institute. 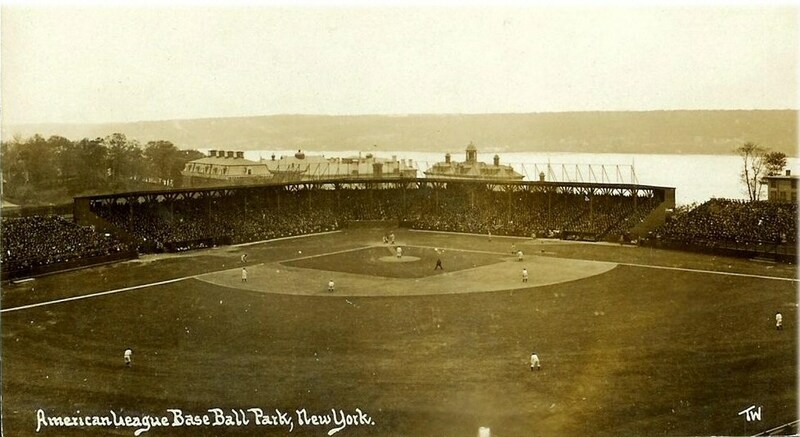 Hilltop Park was the nickname of a baseball stadium that formerly stood in the Washington Heights neighborhood of New York City. It was the home of the New York American League Major League Baseball club which fielded the team called The New York Highlanders. Hilltop Park sat on the block bounded by Broadway, 1903 Logo of the NY Highladers linked to a PDF of all their logos. 165th St, Fort Washington Ave and 168th St. The property was leased for 10 years. 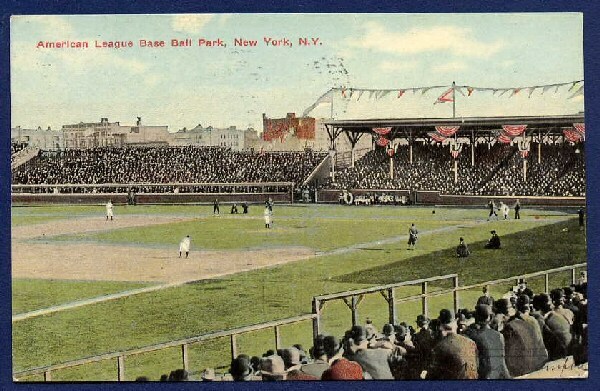 It was also the temporary home of the New York Giants during a two-month period in 1911 while the Polo Grounds was being rebuilt after a fire. The land was sold by the NY Institute Managers to Presbyterian Hospital which is now the site of the Columbia-Presbyterian Medical Center. The groundbreaking took place on January 31, 1925. 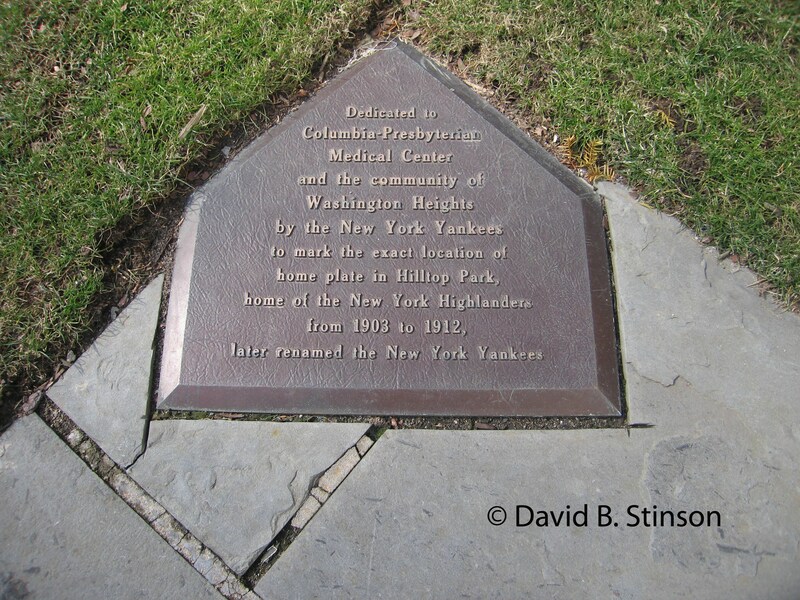 Today a bronze plaque can be found in the medical center garden in the approximate spot where home base was located.